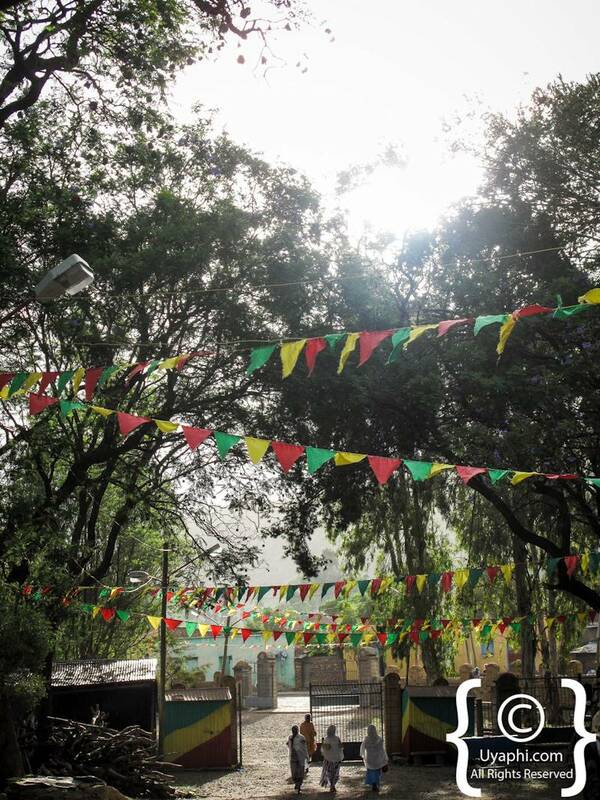 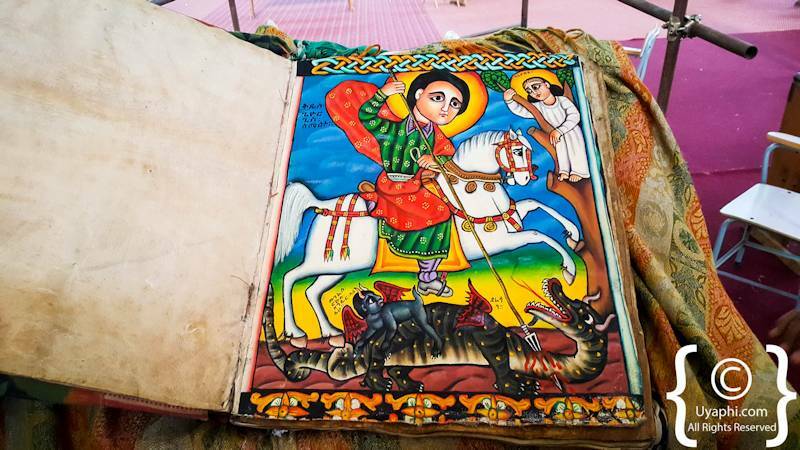 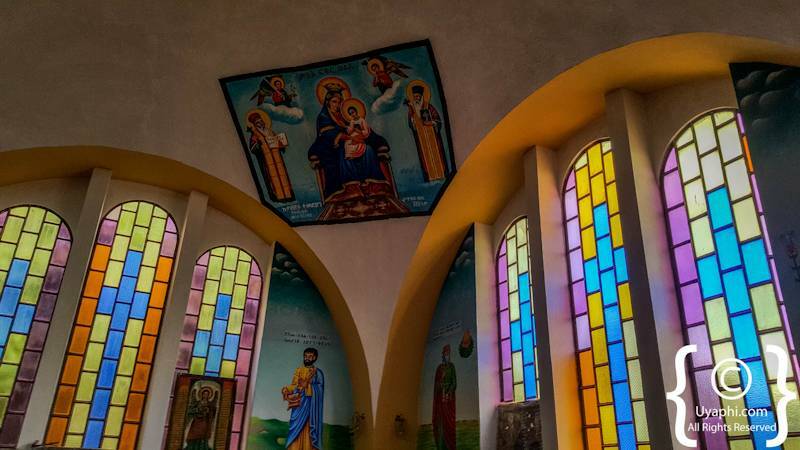 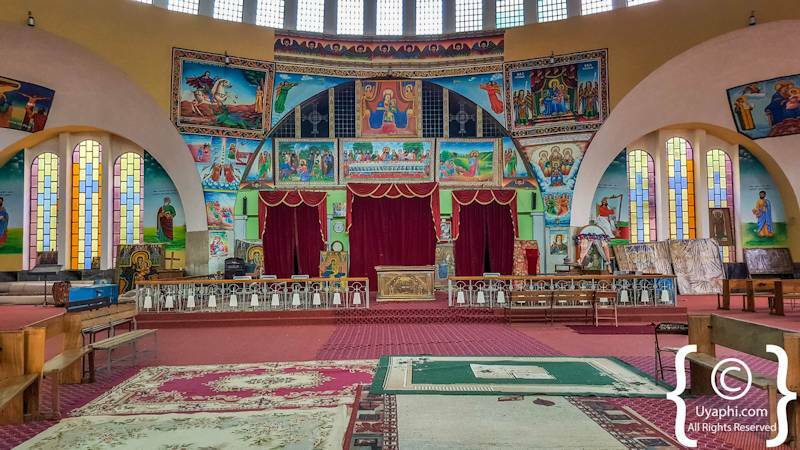 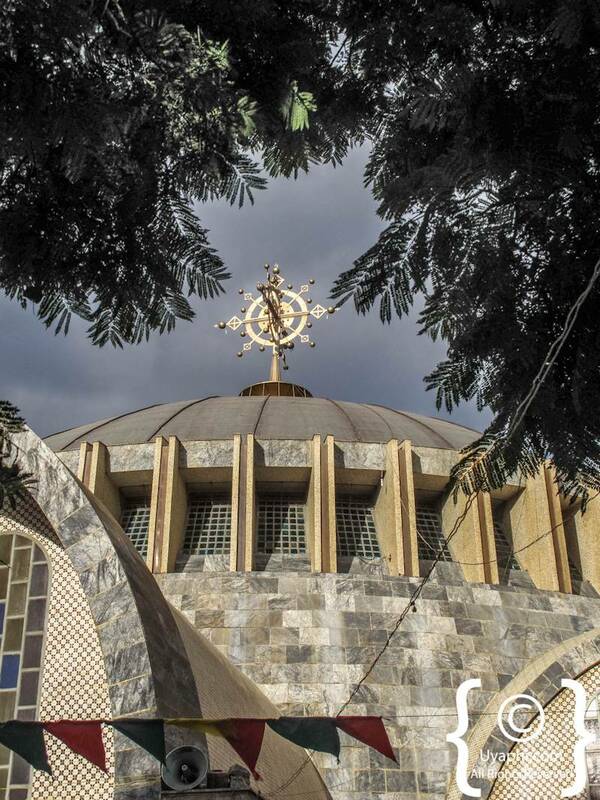 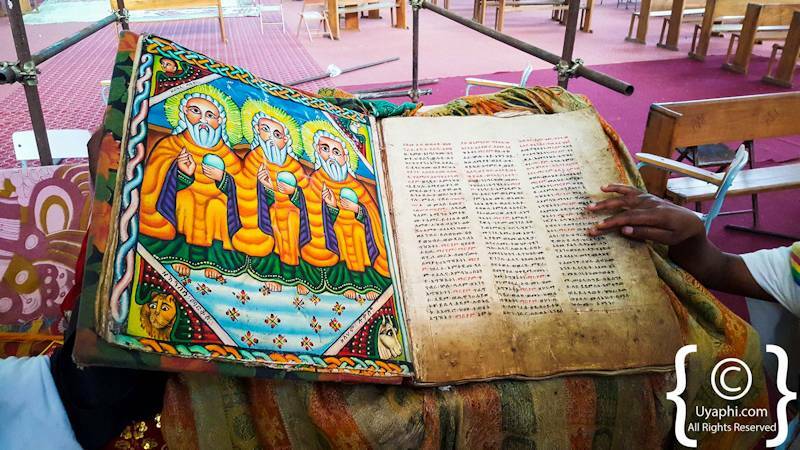 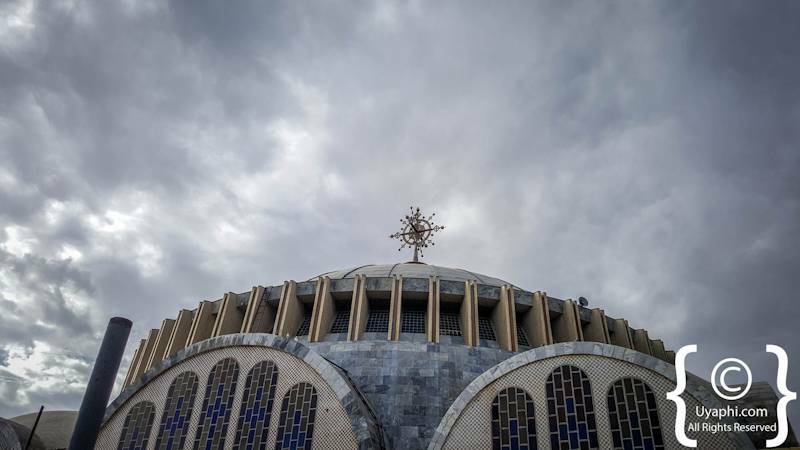 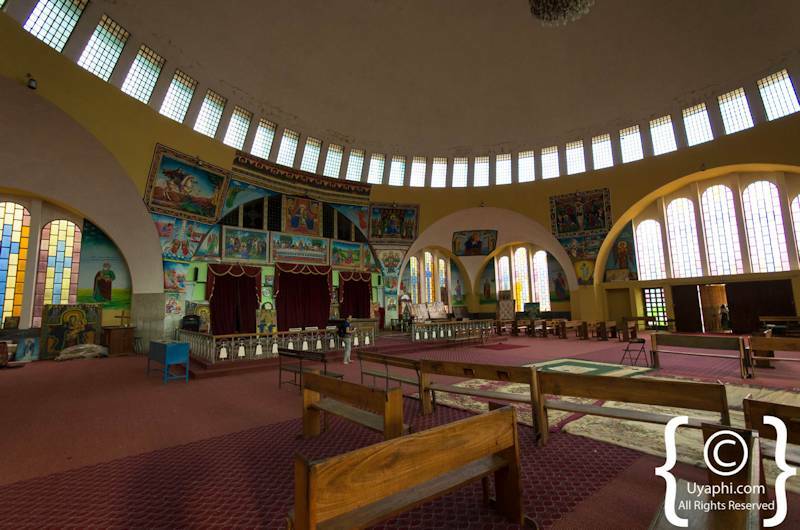 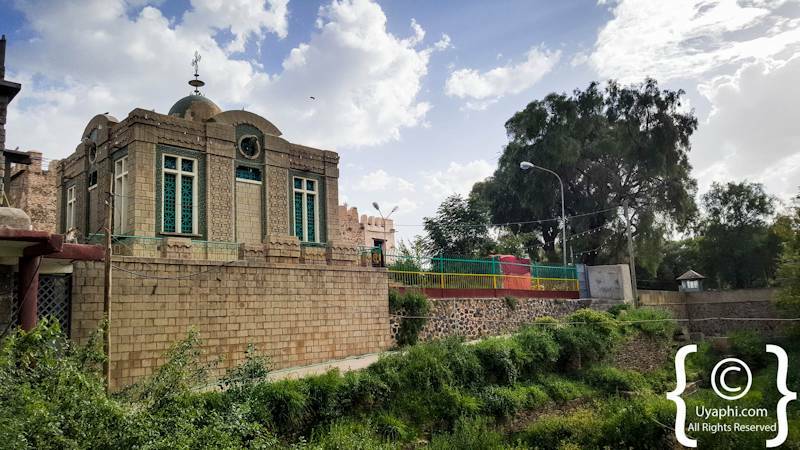 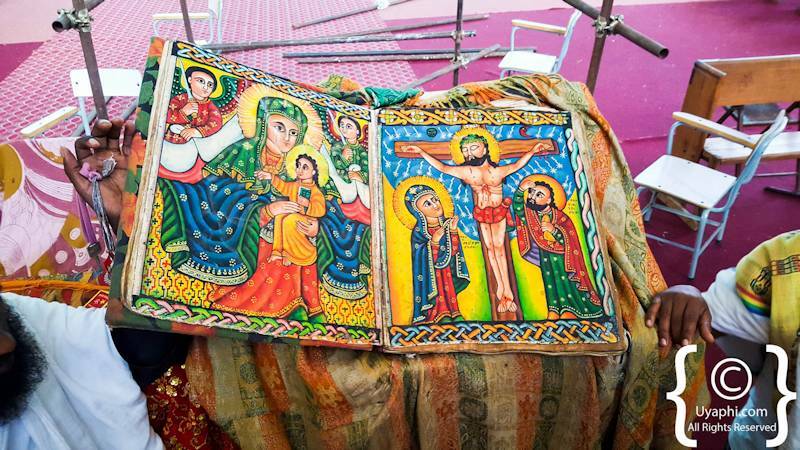 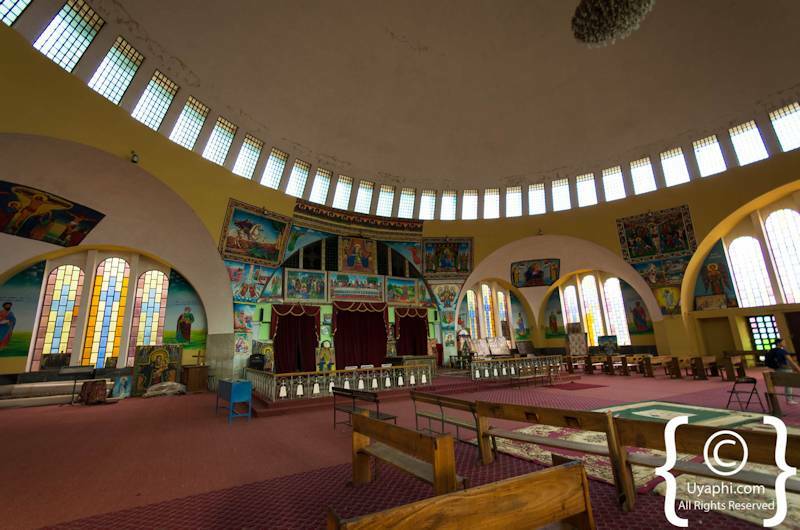 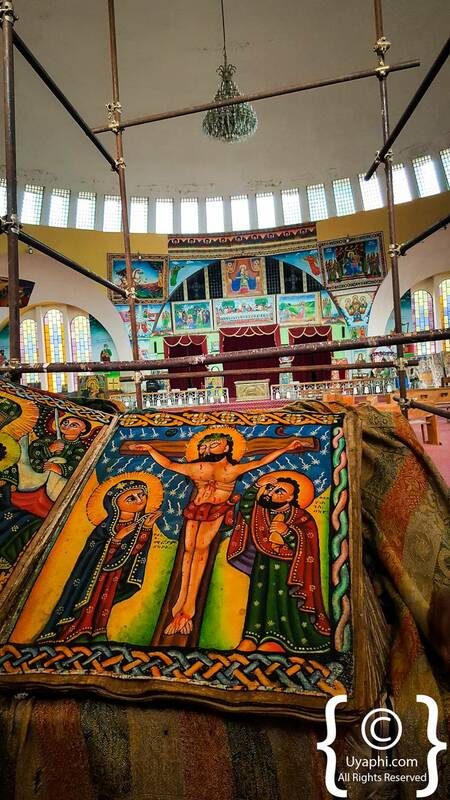 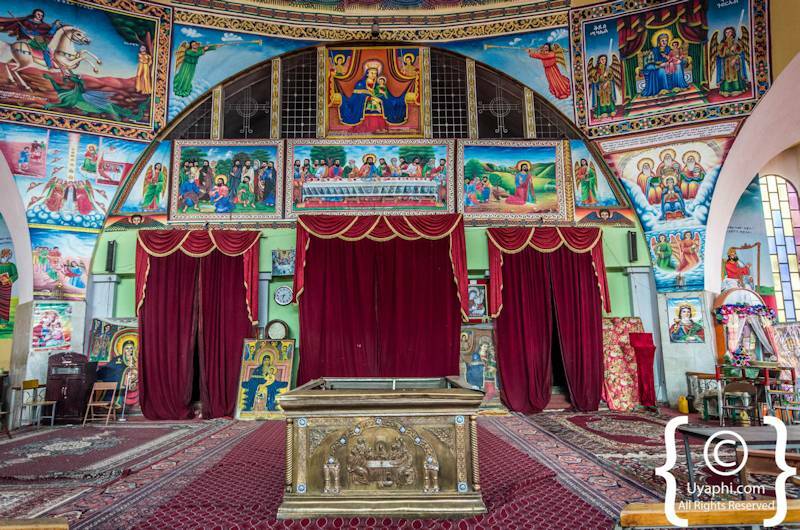 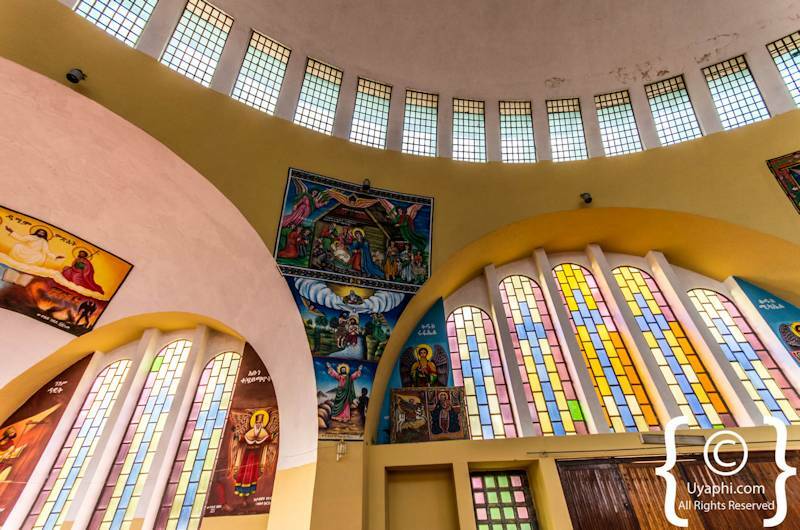 This is the most sacred of shrines in the whole of Ethiopia, not only does St. Mary's host the Ark of the Covenant but also offers up an impressive history dating back some 1700 years. 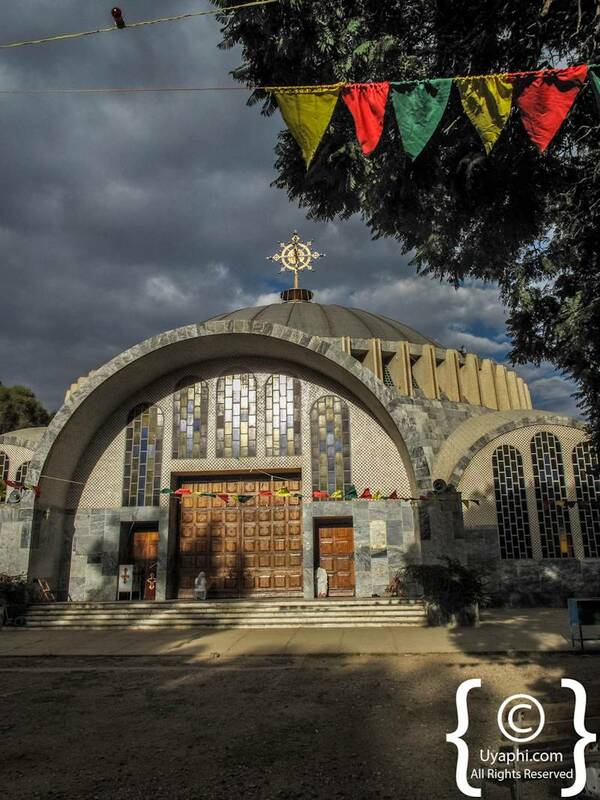 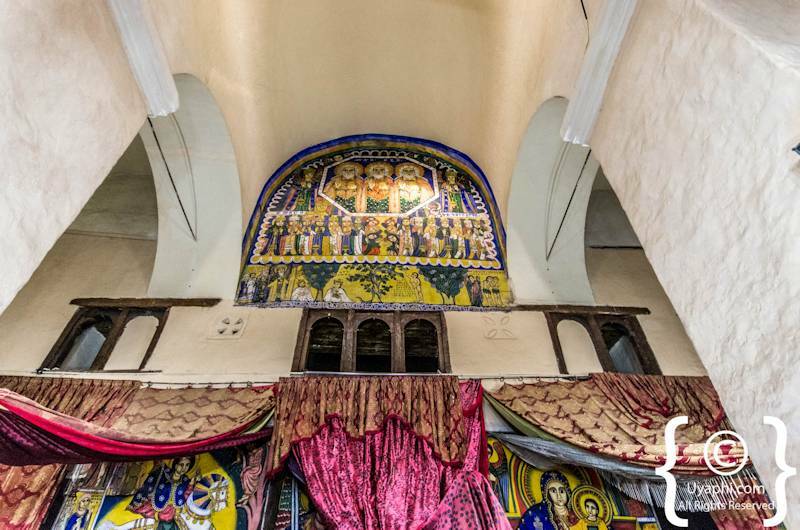 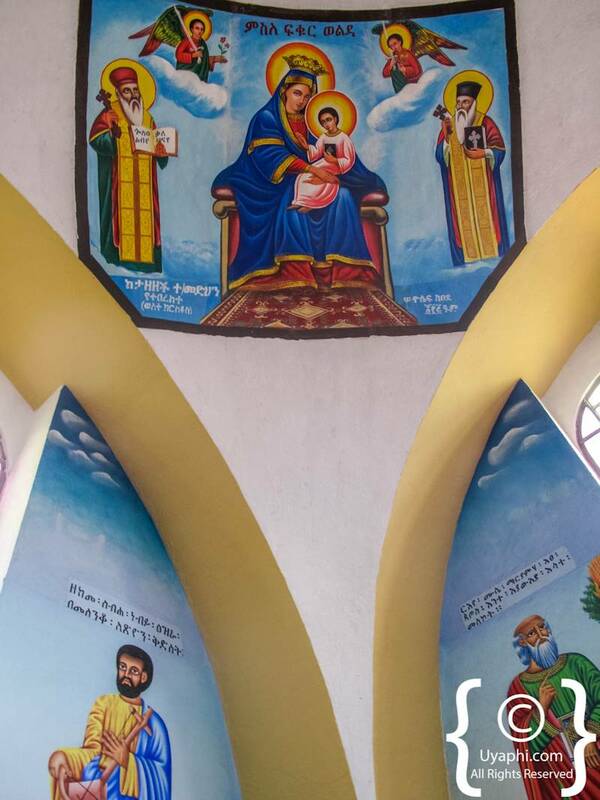 Around 300AD the first St. Mary of Zion was built in the town of Axum by the first and largest Christian Kingdom outside of the Roman Empire. 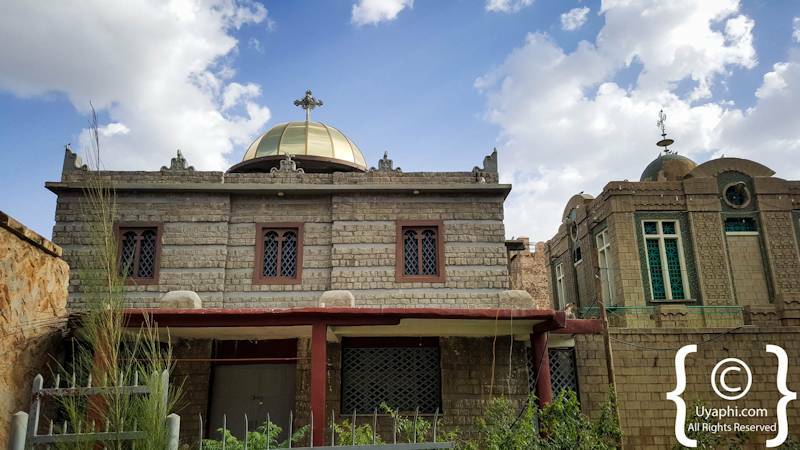 The church itself has been rebuilt several times over the past 1700 odd years, with the latest version (as you can see below) having been finished in 1964. 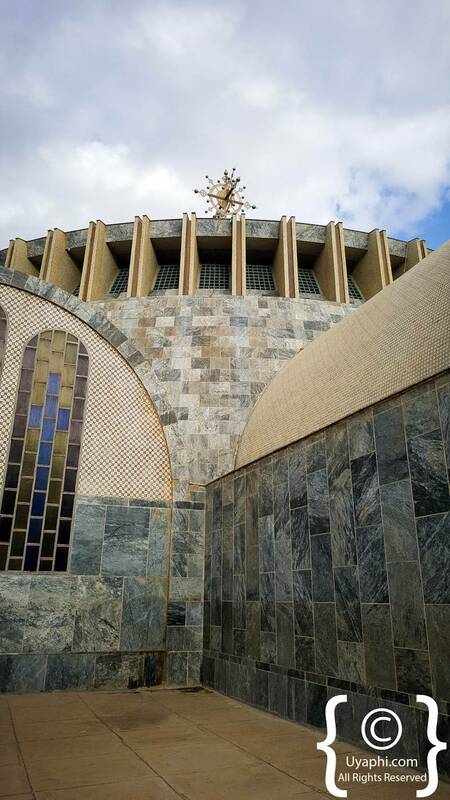 Adjoining the main church are two small Chapels, it is in one of these that the Ark of the Covenant is kept. 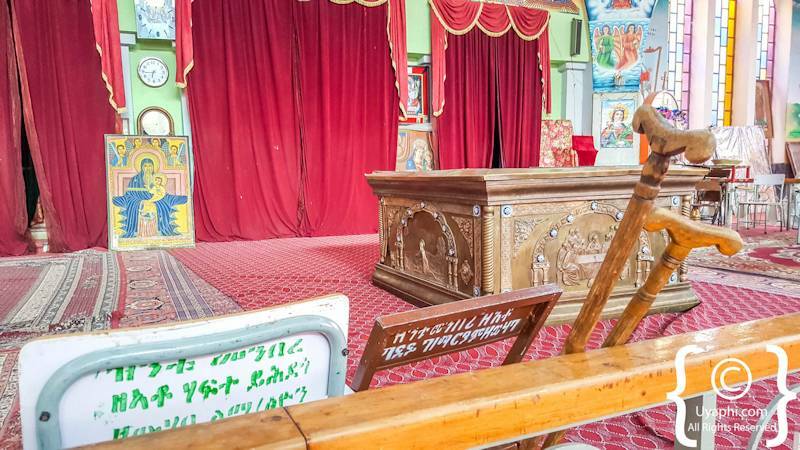 In the next year or so the Ark of the Covenant will be moved to the new Chapel that has been built. 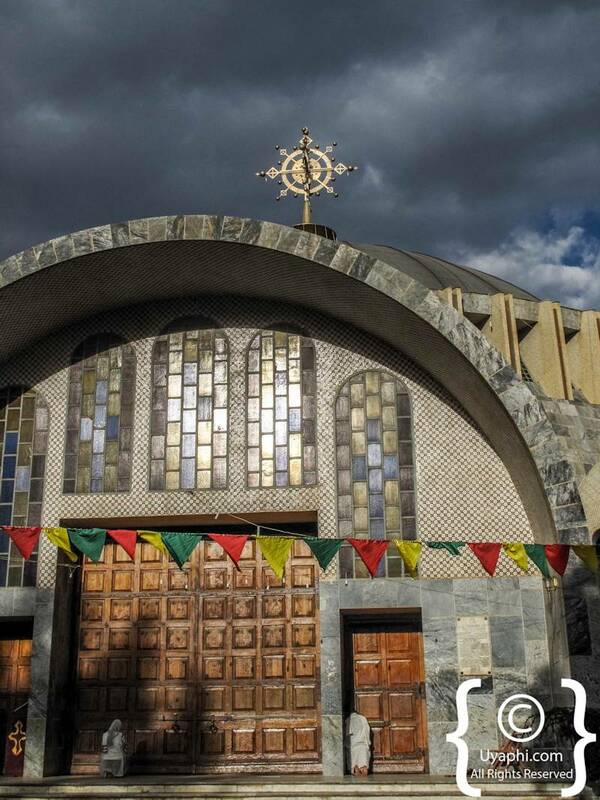 The monk who guards the Ark is appointed for life, he is confined to the Chapel and may never leave. 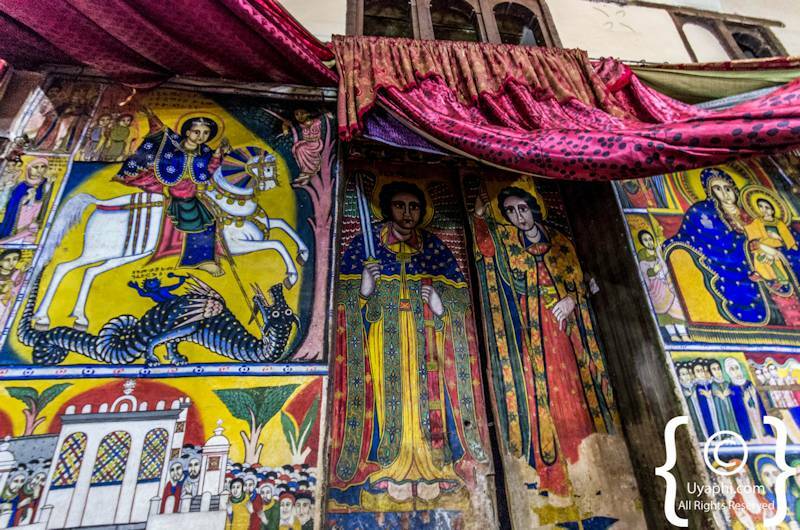 No one is allowed in here but put those Indiana Jones outfits on in any case. 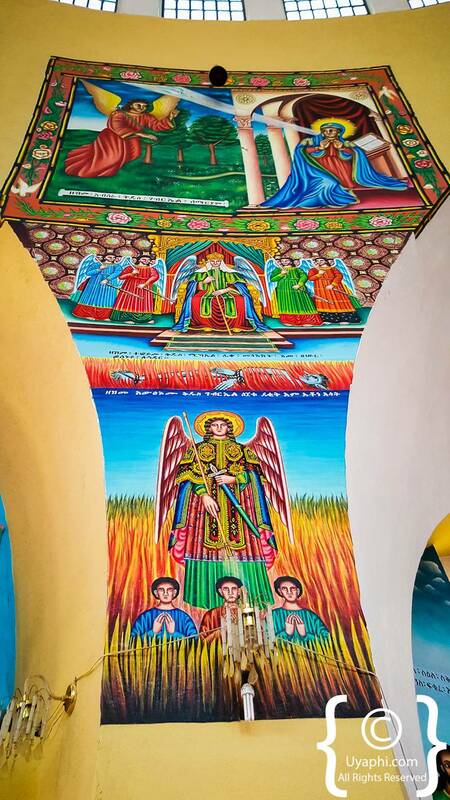 Wondering around the church grounds and watching all the pilgrims was really special, but walking through the main church was something else. 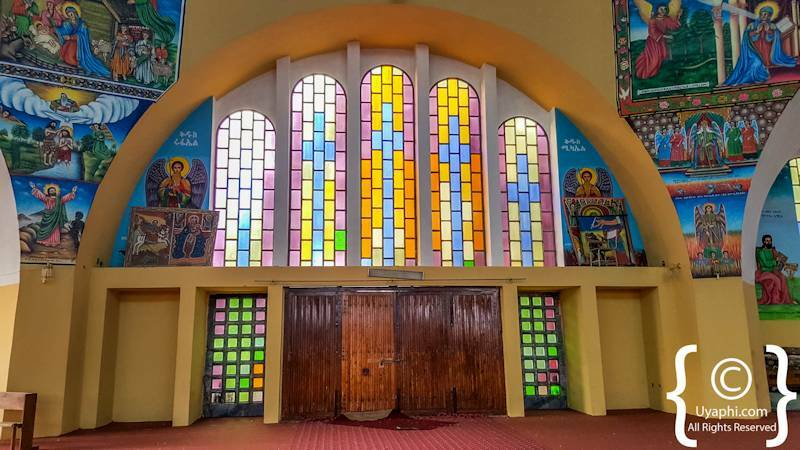 When we entered the main church there was a feeling of peace and safety that just surrounded us, I know we might sound mad saying that but it was there, something that we could not quite explain to each other. 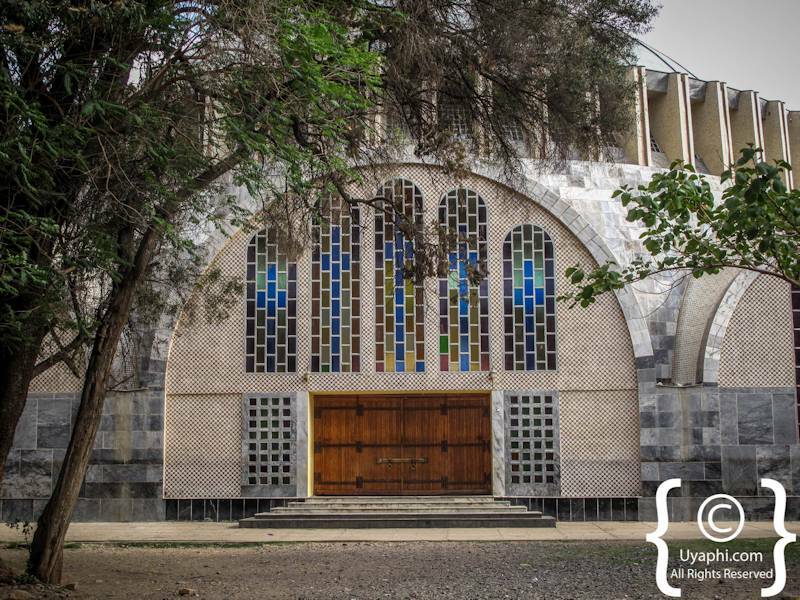 All photographs have been taken by us here at Uyaphi.com with the sole purpose of showcasing the St. Mary of Zion Church from our point of view.